I am passionate and enthusiastic about helping people reach their potential! 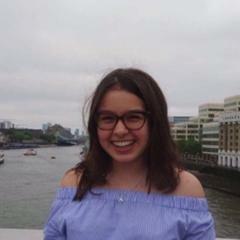 Hi I’m Layla - I am a first year medical student at the University of Cambridge. I have recently finished secondary school and completed my A Levels in Mathematics, Biology, Chemistry and Geography. I am very passionate about science and love to teach others to help them reach their goals, however large or small. Over the past four years, I have been volunteering as a classroom assitant at a local school and I have tutored a number of students at school in science. Having recently sat public examinations, I can also provide support on the best ways to revise and recommend, as well as provide, useful resources.